This post is brought to you in collaboration with Cottonelle, but all opinions of the product are my own. It's pretty obvious that I like camping. I mean, I am currently in the middle of a 70 day camping trip with my boys. Many times, we stay places that have no showers or flush toilets, and on occasion, we stay somewhere that has no running water. When you are only on a weekend trip, these things don't matter too much, but when you are an extended trip, you need some essentials to keep you feeling fresh and clean no matter where you might be camping. 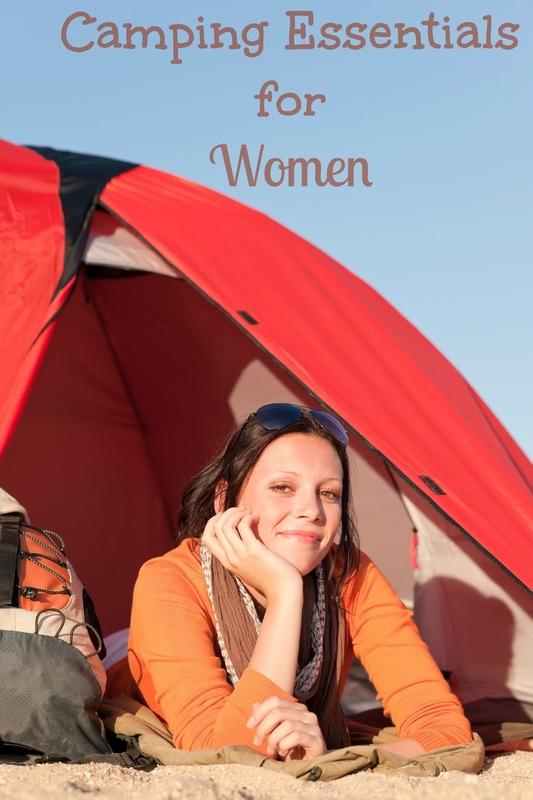 These camping essentials for women are all products I take with me on extended trips to help me feel clean, even when my environment is very different. Cooling cloths and makeup remover pads are a must have for me on any camping trip. No, I don't usually wear a lot of makeup when I'm camping. Instead, I use these cloths to cool down and clean up after long hikes or on particularly sweltering days. This is really the only thing in my makeup bag when I go camping during the summer. Tinted moisturizer with SPF can not only help protect your face from sun exposure, but it provides a sheer and light coverage that won't sweat off easily throughout the day. Lotion is a necessity, especially when you're going to an environment you are not used to. For the last two years, we have traveled from our home in Florida where humidity is high, to the West coast, where there is virtually no humidity at all. My skin dries out instantly, and the lotion is the only thing that keeps my skin from getting chapped and irritated. One thing you need to know about campground restrooms is the toilet paper is more than likely purchased from the hardware store. What I mean, is it is very much like sand paper, and so thin that you can see through it. That is why I like to carry my own toilet paper. Cottonelle Clean Care toilet paper is 2-ply and soft, but strong enough for great coverage. When you are staying at a campground that doesn't have showers though, sometimes a little extra coverage and cleaning never hurts. That is where Cottonelle Flushable Cleansing Cloths on-the-go packs come in. These packs come in discreet, small and adorably decorated packages that can easily be placed in your bathroom bag. They are flushable, so you don't have to worry about disposing of them properly, and when paired with the strong and tuggable yet soft cleaning power of Cottonelle Clean Care toilet paper, they provide a clean that you can really feel. Flushable Cleansing Cloth Travel Packs are a real lifesaver when you are without the comforts of home when camping, and have become a new staple in my camping bathroom bag. Right now, you can even save $1.50 with this Cottonelle Printable Coupon. Those wipes are great for camping! I have been meaning to get some of the small "on the go" packs to keep in the diaper bag. We don't camp but these do sound like a great thing to bring along. Good list of items to have!! I never thought of makeup remover wipes, so that is a great idea! And I agree those wipes are very nice to have when you need them! If it doesn't feel like sandpaper, it sometimes feels moist from humidity and that's just disgusting! Great idea on bringing the travel packs with! We don't use anything other than Cottonelle.! I am with you on camp TP not being great. I love those little packs. I must find them and the cool wipes you mentioned. I have been melting at Girl Scout camp this week because it is so hot here ... I will take any cooling I can get! You are so smart about bringing your own supplies. I'm not sure I would have thought of that, but it's the way to go! I need to remember to bring all this the next time I go camping! Which I hope will be soon. I'm not a camper, but I can imagine that these would DEFINITELY be perfect! I didn't realize that these came in travel packs! Definitely something I would take with me. you guys are camping for 70 days??? Wow! I love these travel packs of wipes too, so handy! Cottonelle is our box for this weekend's camping trip. I would have never thought to take cooling clothes. great idea! I don't camp but these are great tips for if I ever decide to start! Thanks for sharing those. My husband & I love camping, but the kids have a harder time giving up the comforts of home. Our next trip I'll be bringing our own toilet paper for sure! Some things you just cannot skimp on and toilet is one of them. Great list to include the makeup removers too as they're also nice for just refreshing your face each day/night. I could not even think about camping without good toilet paper and the Cottonelle flushable wipes are the best thing since... sliced bread. I'm not a camper, but I can think of several other activities that this list is perfect for! We've been loving those Cottonelle packs, too. I'm a big fan of camping as well. I camped with mom as a kid and now am sharing this special tradition with my 3 girls.. but 70 days! Wow, I am impressed! Love your list of essentials. Have a fabulous summer!